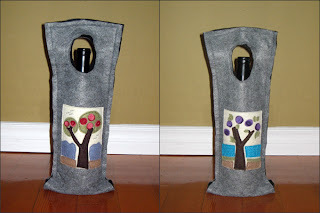 Other than felting sweaters and making booties, I'm making more wine bags. I want to refine the overall design since they are such a hit! I joined the knitting group at my work so I craft while everyone else knits. It's been great! I prep the bags on the weekend then work on them during the knitting group or while I'm on the ferry, etc. 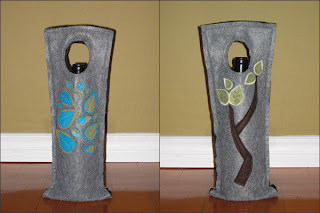 You can never go wrong with glass containers for your sewing/crafting supplies. 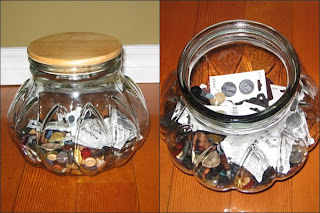 I bought this jar at the Salvation Army for $3.50 - it's perfect for storing my growing stash of buttons!